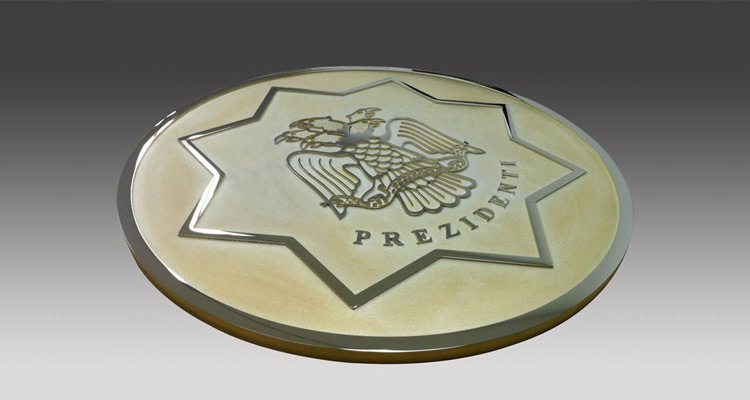 JBRND makes custom medallions for head of state and VIP aircraft decoration. From the main cabin entryway, to dining and meeting rooms, these 3 dimensional medallions add gravitas and consistency to all areas of the aircraft. We can take 2D artwork & images, and accurately convert them through a program to be machined in 3D. 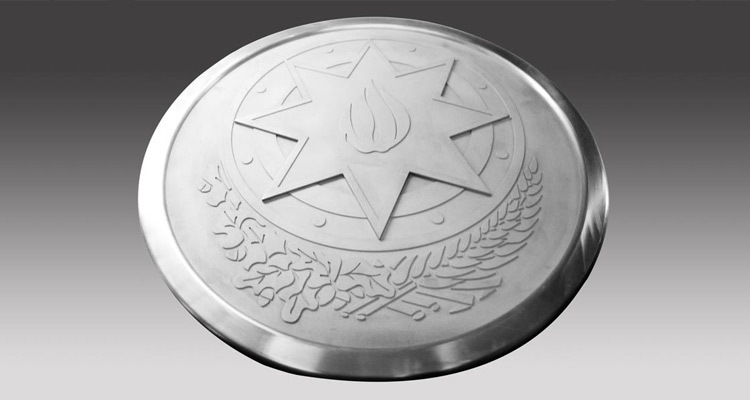 Medallions are machined with hi speed CNC machines from lightweight aluminum. They can then be sanded rough or smooth to allow for contracting looks when plated. Optional curved medallions are possible for rounded wall hallways. All mounting brackets and structure is included. 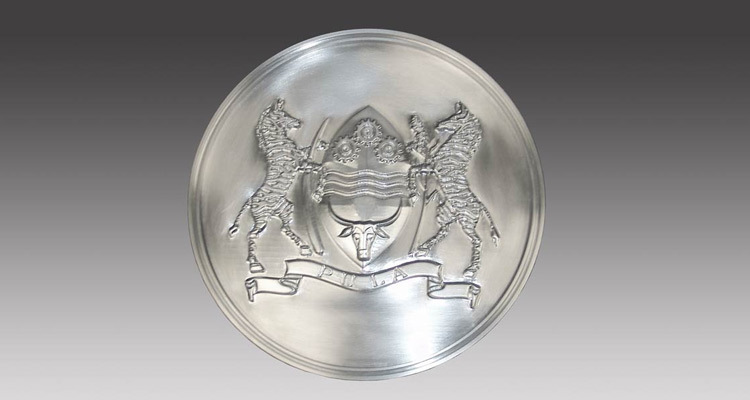 For more information about custom medallions for head of state and VIP aircraft decoration, please get in touch with JBRND today.